For Gran's birthday this year, Jessica decided she wanted to paint a bag for her. 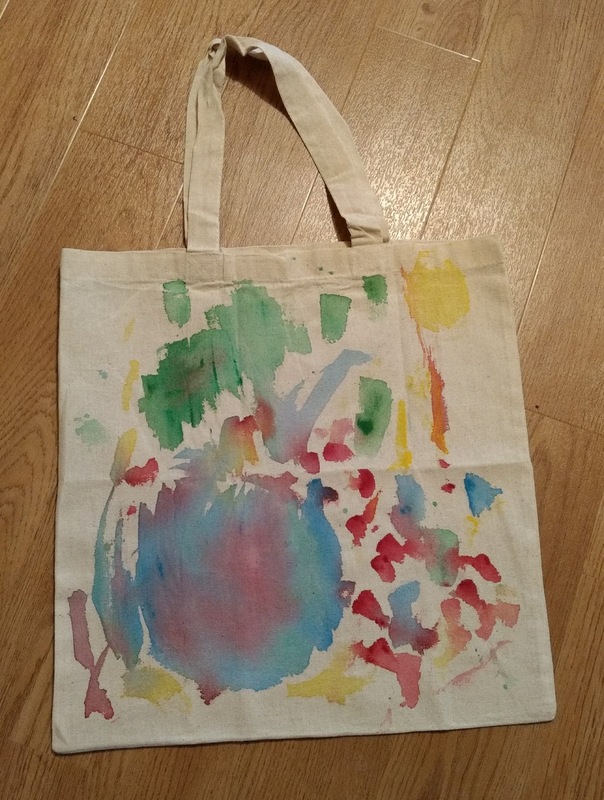 We used a calico bag from Hobbycraft and watered down acrylic paints. It's always good to paint on something other than paper! The technique has worked well for us and I like how bold the colours stay. Jessica really enjoyed doing this one.